A first-rate, all-around knife with a profile-ground blade of Swedish cold-rolled special stainless steel. Comfortable handle with a patterned high-friction grip. 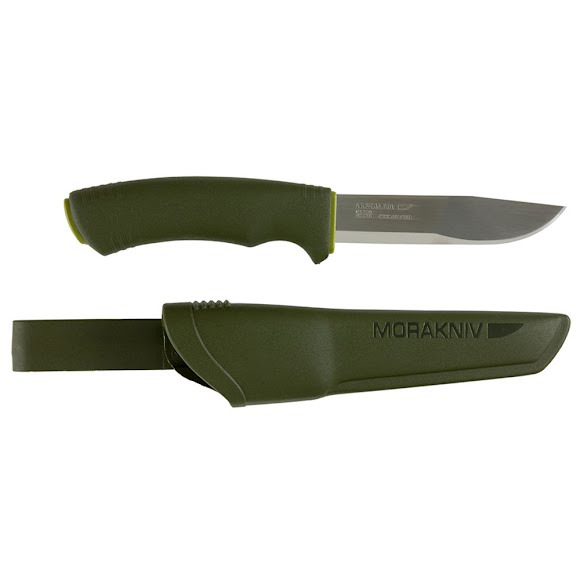 Forest green plastic sheath with a belt loop.